In the U.S. News & World Report review of the new Kia Sportage, they praised its “premium interior” and “excellent warranty” coverage. Indeed, families in Southgate will be able to comfortably seat two rows of adults in the Sportage. The new Kia Sportage LX is the first trim in the lineup, but even this model comes standard with features like dual-zone automatic climate control, a power driver’s seat, Apple CarPlay™ and Android Auto™, and a 7-inch Uvo touchscreen interface. Find out more and take it for a spin in Cerritos today! Test Drive the New Kia Sportage LX Near Anaheim Today! 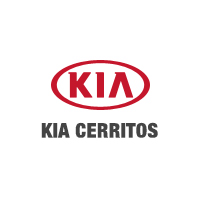 Drivers in the greater Los Angeles area can find the new Kia Sportage LX for sale right now at Kia of Cerritos, where we also have plenty of offers and incentives for our customers to check out. While you’re here, make sure to check out our current pre-owned vehicle specials as well for special opportunities to save! And if you have questions, feel free to call us at (562) 860-2424. While you’re here, check out our comparison between the Kia Sportage and the Toyota RAV4.